Welcome to the world of Sweetsorrow, where nothing is quite as it seems. Dragons on the mountains, Fairies in the woods, and the Grim Reaper stalking the night. All things are possible here. 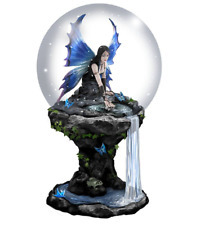 The most comprehensive range of Fantasy Giftware from leading artists such as Anne Stokes, Lisa Parker, and James Ryman. Artwork, Figurines, Bags, Purses, Wallets, Clocks, Cushions, Lighting, Boxes, Storage, Incense, Jewellery, Umbrellas, Journals, Colouring Books, the list just goes on and on. At sweetsorrow we have all your heart can desire.